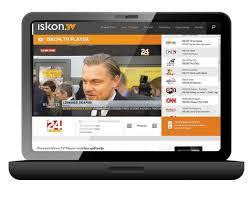 Iskon increased broadband and TV service offering its IPTV service free for six months. The Croatian telecommunications company Iskon, which is fully owned by the holder Hrvatski Telekom (T-HT), has expanded its ultra-fast internet service along with its best IPTV service in major cities throughout the country. At the same time, it made its IPTV service known by Iskon.TV, available free for six months for its viewers. With this offer, viewers can freely get Package including top TV channels including HBO+, Cinemax free for three months and a Snimalica service that automatically records the last 72 hours program of 19 channels, received free for six months. Snimalica already has 55% of users of Iskon.TV service.